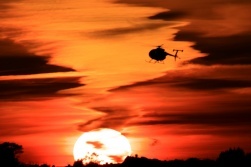 Started in 1994 by Simon as a small team with big aspirations: to become the UK's premier helicopter sales company! Simon secured the Enstrom Dealership in 1995 and could be found regularly flying around the UK showing and demonstrating the piston series. Turbine sales started to follow and between then and 1999 the company was incorporated. During those early years Simon sold some 30% of Enstrom's entire production! Also in 1999 Simon gained the MD Helicopters dealership and undertook an ambitious plan to build a 30,000 square foot facility. In 2000 this was completed and the company expanded its horizons by starting an engineering company to support the UK sales. The engineering division was approved as an Enstrom and MD Service Centre. In 2000 Eastern Atlantic sold 8 new MD600N helicopters, more than any other dealer in the world! With the engineering division eventually taking on more and more third party maintenance as a function of selling so many aircraft, the size of that part of the company grew to the extent of needing a full time staff of 16 personnel and of course continued investment in tooling, training and approvals. These commercial qualities combined with an impressive client portfolio began to attract interest from investors and in 2005 an aggressive bid was presented to purchase the facilities and engineering company to merge with a recent acquisition of a Shoreham-based training school. This actually provided the right recipe to enable Simon to refocus his passion for sales. Reinvesting in personnel and facilities put Eastern Atlantic Helicopters at the front line of respected sales companies, but not just in the UK, now in Europe and reaching out worldwide. 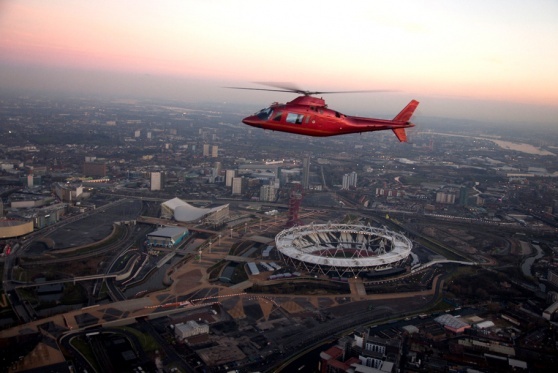 In 2006 the company invested in a new facility which was converted into a dedicated helicopter showroom and offices. Sales continued with the Enstrom and MD product line and further success was found with Agusta and Bell used sales. During 2011 Eastern Atlantic started to see a gap in the market; after managing some refurbishment programs on Agusta 109s and MD500E helicopters it appeared buyers not only wanted, but enjoyed, being part of a refurbishment plan. Not a rebuild project but a bespoke configuration program. Our maintenance support couldn't keep up with our ambitions so we rethought the potential for an in-house engineering division. By having this level of control we have better cost management and schedule planning, both of which benefit us and the buyer. With careful consideration given to what in house engineering would bring we elected to handpick two engineers and partition the showroom with a single engineering bay at one end. Since then we have undertaken a number of bespoke refurbishments all finished to an extremely high quality such that even a new aircraft couldn't match them. See our Case Study page for more information. Eastern Atlantic's attention to the real market and the real customer continued to help the company flourish even during times of global economic depression. Eastern Atlantic is now a close team of 7. See who we are on the "Meet the team" page.